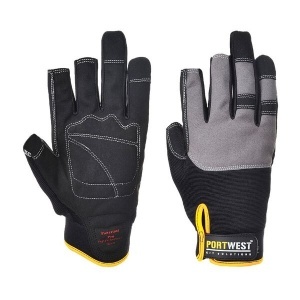 With a stylish design, high impact resistance and a comfortable fit, the Portwest Leather Powertool Pro Black Gloves A740BK are ideal for tactile applications with powertools and small components. 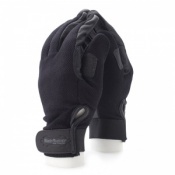 They offer excellent mechanical protection, ensuring that the gloves will not only be long-lasting but protect well from cuts, tears and punctures. 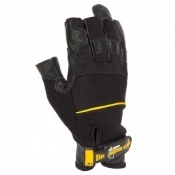 The Powertool Black Gloves have been designed to boost performance when working with either powertools or small mechanical components. 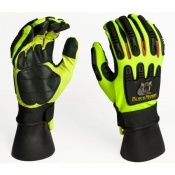 They feature an anti-impact, shock absorbing thick rubber and leather liner and two open fingertips that boost dexterity and sensitivity, ensuring that the user can use powertools safely and quickly.